If you do not upload enough albums to Cloud Proofing to justify purchasing a subscription, we suggest taking advantage of our Pay-Per-Album option. This option is only $9 per album. 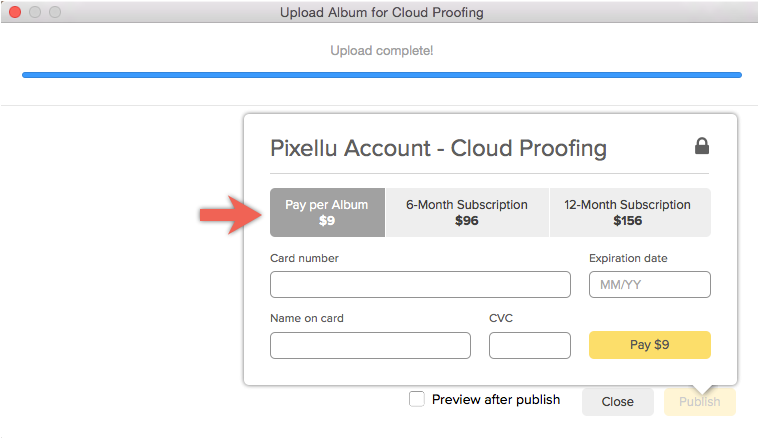 The Pay-Per-Album option is available directly through Pixellu SmartAlbums 2 when you choose Export for Cloud Proofing in the Export window. Note: Remember that after you make a Pay-Per-Album purchase, any additional album drafts/revisions for your purchased album can be uploaded at no cost.